She played in Steve Zakman‘s Dollar Baby Autopsy Room Four as Dr. Katie Arlen. Torri Higginson: My name is Torri HIgginson, I am a working actor who has been in this business for 15 years. I studied in London England at the Guildhall college of music and drama. Upon completion of my studies I returned to Toronto Canada and kept busy with various theatre and telly gigs, with the odd b-movie action film thrown in for good measure. I am ucky enough to have always made my living as an actor and for that I am forever grateful. SKSM: How did you become involved in Autopsy Room Four? Torri Higginson: 5 years ago I moved to Los Angeles, and during my first months there I attended a screening of a film I did with Daniel Baldwin called ‘Irish Eyes‘, at that screening I met one of the Steve’s (i don’t recall now which one), who then approached me about his short film. I said yes. I didn’t have to audition, he just offered the part to me, I suppose what he saw of ‘Irish Eyes‘ was a good enough audition for him. Torri Higginson: I have not seen the short, and I am sure upon review anecdotes would jump into my forever forgetful brain, but sadly now I can’t recall. I do remember the filming of the scene when we realised he wasn’t dead, was rather funny. SKSM: What did you do after Autopsy Room Four? 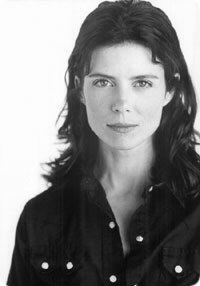 Torri Higginson: Visit IMDB.com and see for your self. Torri Higginson: I read stephen king books as a teen, and enjoyed them very much, not as much as my sister, who was an avid fan. But a few years before this (Autopsy Room Four) I had the opportunity to work with and meet Mr King on a mini series he wrote for telly called “The Storm of the Century‘. The writing of that and the brief chats I had with him then made me a great fan of the man. So smart humble and generous. I think his writing is so exciting, and works very well in the short film world. To be able to say so much in a short time, and lead the audience through various states of dread, emotion, and or intrigue is a sign of a man of great magnitudes. Torri Higginson: Thanks for your curiosity, I hope I offered something of interest in return.